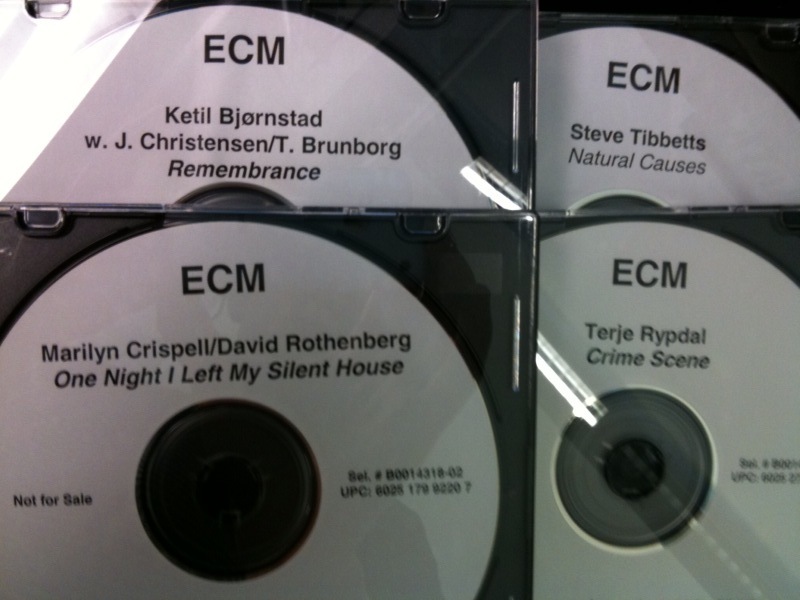 There’s something about the titles of ECM’s June releases that makes me wonder if there’s an unfortunate accident waiting for the chap who forgets to promote them. And two of them are by Norwegian artists. Coincidence? I think not. “Norwegians: the silent killer.” Now THAT’S funny! Perhaps the real key is printed on the left of the CDs — “not for sale.” Perhaps they’ve expanded this phrase to a marketing philosophy?